Carmen Sandiego is back and only you can foil her V.I.L.E plans. Travel the globe, solve brain-twisting math puzzles, and finally confront the world’s greatest thief. Crack the case of the Island of Diamonds in single-player Story Mode. Perfect your math skills in single-player Practice Mode. Challenge your friends and family to solve math puzzles against the clock in Multiplayer Mode. In Carmen Sandiego Adventures in Math, you practice your math skills and use them to fight crime. Ideal for grades 4–5, math topics include arithmetic, logic puzzles, fractions and much more! Zombie Slayer Diox is a rhythm-action game with a side-scrolling twist! You are put into the jeans and leather boots of a samurai guitarist in the year 20xx. Zombies have taken over most major cities in the world and our hero, Diox, is on a quest to put an end to the undead. Diox lures the zombies with his sweet songs and sick guitar solos, and he cuts them down with his mighty katana when they get close. There is a rumor that deep within zombie territory, a super guitar amp exists that can be used to kill thousands of zombies at once with a strum of a simple power chord. 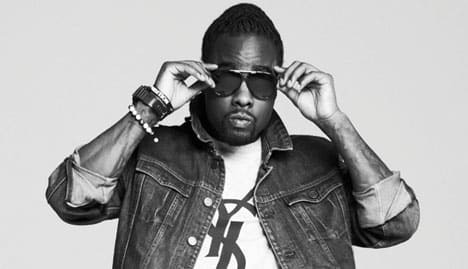 “Sabotage” is Wale’s latest single from his sophomore album “Ambition”. The video tells a story about high school love and features special guest singer Lloyd and a laid-back guitar riff.